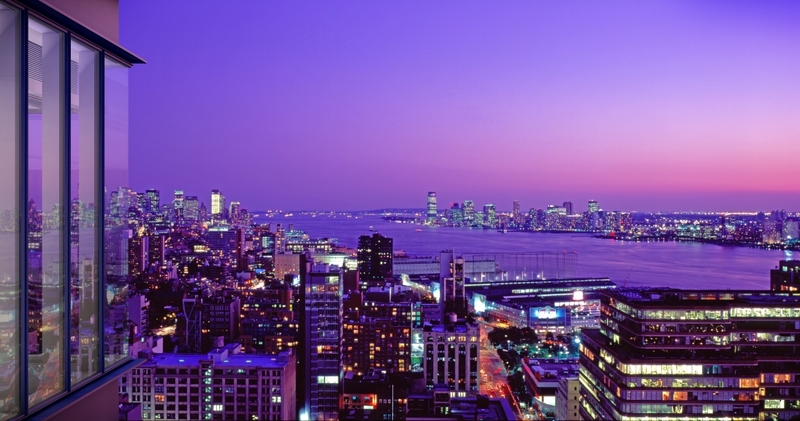 Right next to the Hudson river, Manhattan has one big scar. 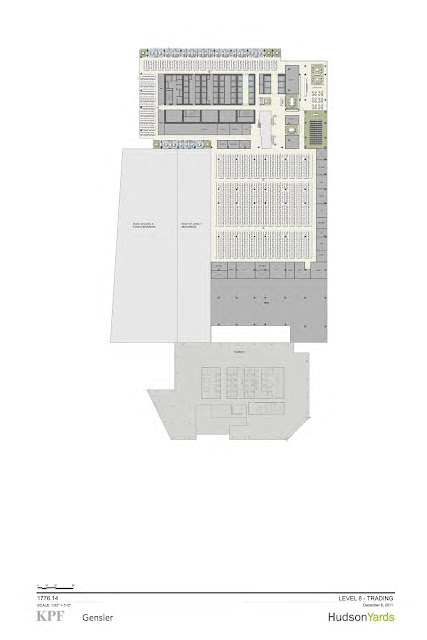 A big hole in the ground where trains are parked. 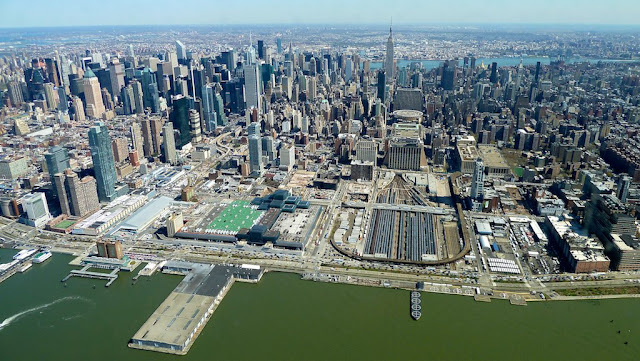 It's an industrial zone of Manhattan. 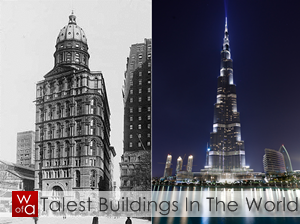 But not for long. 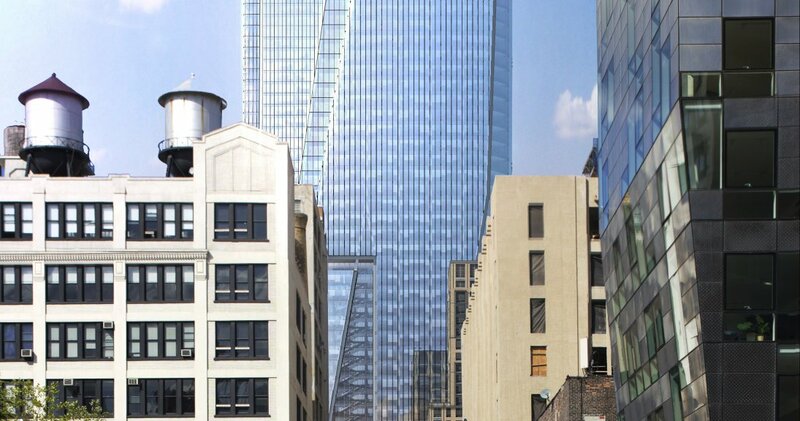 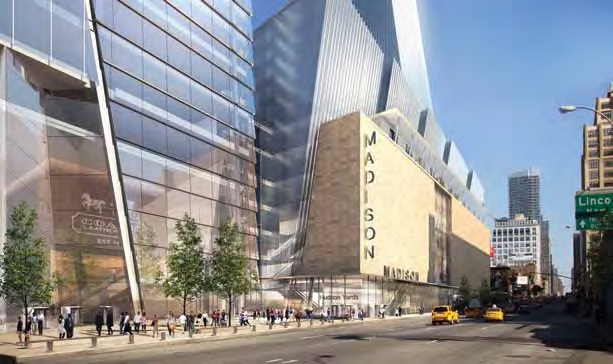 Whole west side of Manhattan is being redeveloped into new office/residential/commercial district. 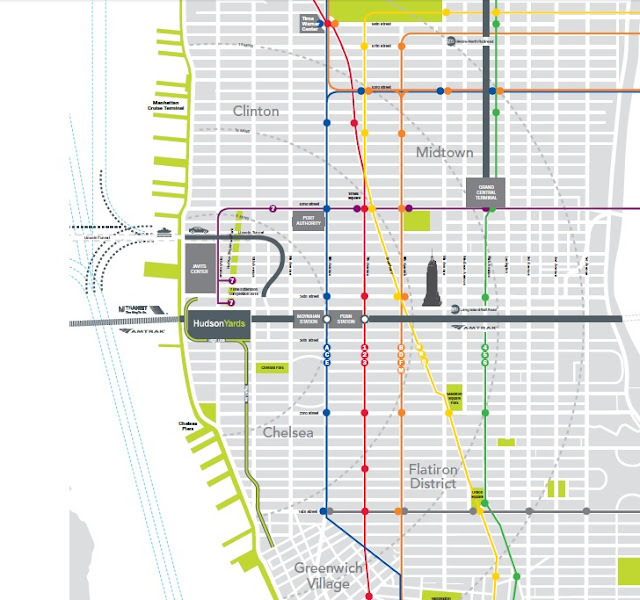 And everything starts with the project called Hudson Yards. 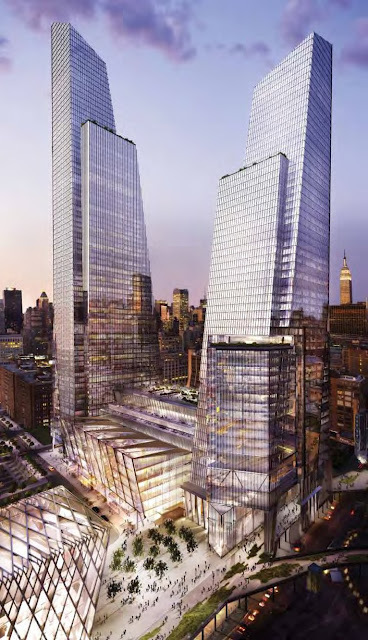 New modern architecture for Manhattan, new New York towers, one of the tallest in Manhattan. 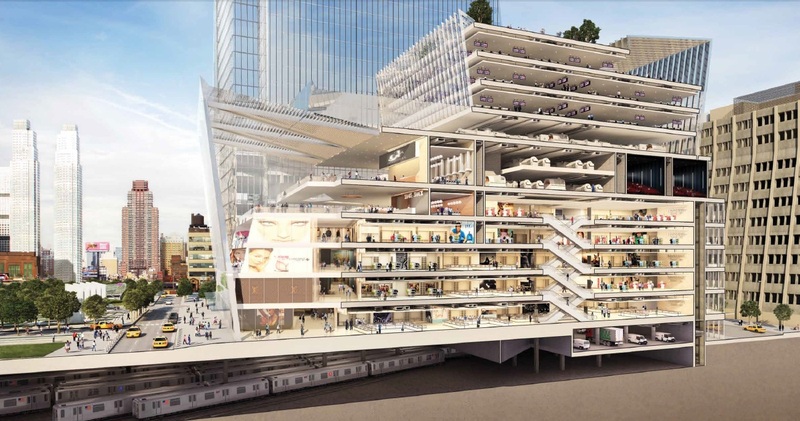 Famous architecture firms working on those projects are Architects Skidmore Owings & Merrill; Thomas Phifer & Partners; SHoP Architects and Diller Scofidio + Renfro; Kazuyo Sejima + Ryue Nishizawa; Handel Architects. The tallest towers in the complex will be 394m (1292ft) and 310m (1017ft) with 65 and 54 floors. "Hudson Yards is the largest undeveloped single piece of property in Manhattan. Now zoned and fully entitled for over 12 million square feet of commercial and residential development, the Yards will include new cultural facilities, a new public school and over 12 acres of grand public open space. With the High Line to the south, Hudson Park and Boulevard to the north and Hudson River Park to the west, the Yards will be the center of a major new open space network on the west side of Manhattan, bringing millions of visitors a year to what is destined to become New York's next great neighborhood." 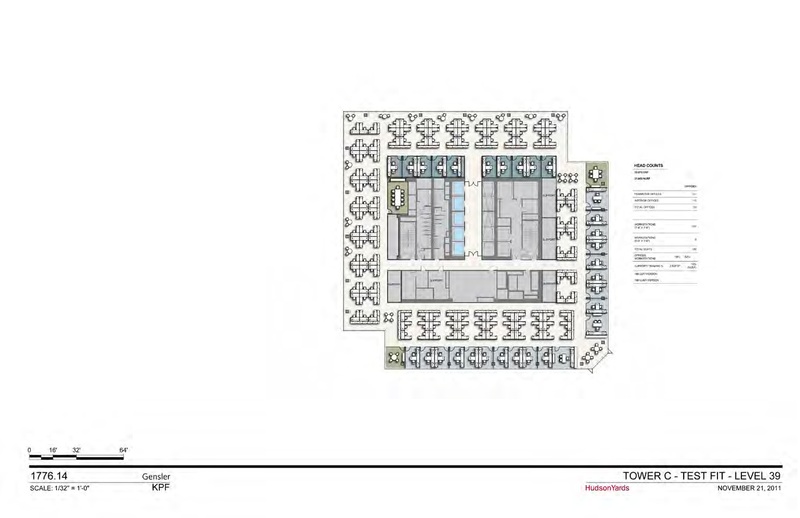 "The site plan for Hudson Yards has been carefully designed and planned to maximize amenities and serve corporate tenants as well as residents. A series of separate flexible development parcels are arranged around over 12 acres of public open space. Within the total of 12 million square feet, development on Hudson Yards offers a flexible mix of office, residential, retail or hotel space. 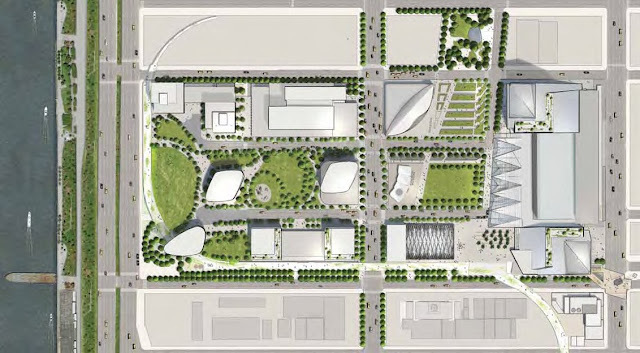 Within the framework of the site plan, a unique collection of parks and plazas are designed, as well as a number of private streets. The plan also provides for up to 2,600 parking spaces for tenants, visitors and residents on the site. 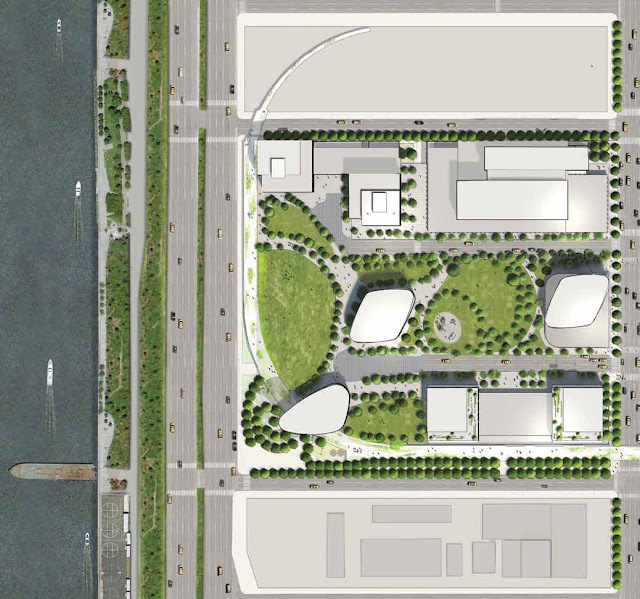 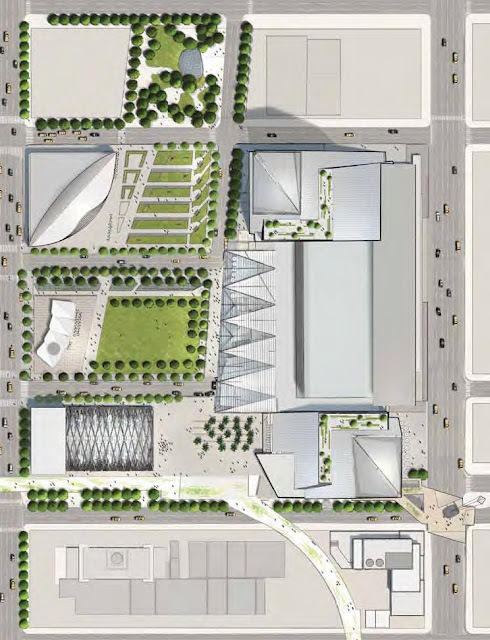 In addition to the private development, there are also a number of public uses planned, including an iconic cultural facility on the Eastern Rail Yards and a public school for 750 students on the Western Rail Yard." 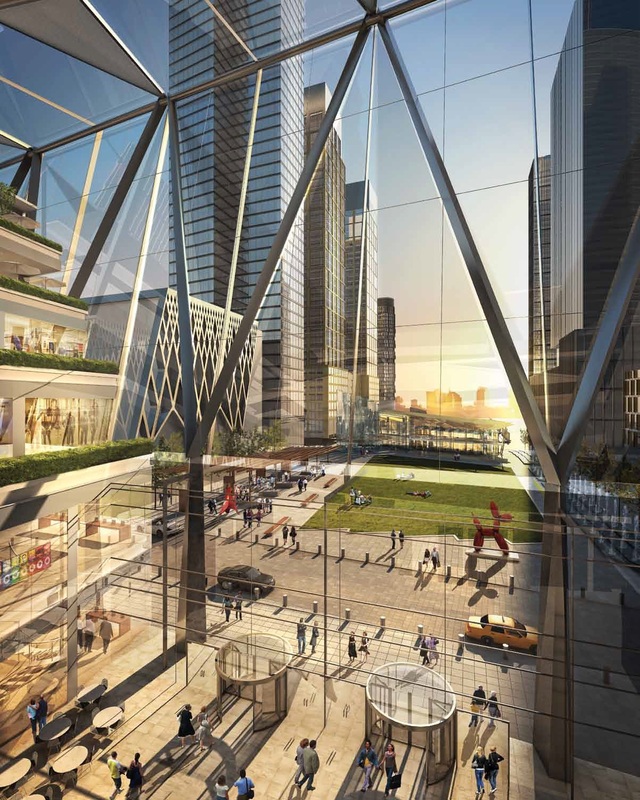 "A retail destination modeled on the success of the Shops at Columbus Circle anchors the Eastern Rail Yards. 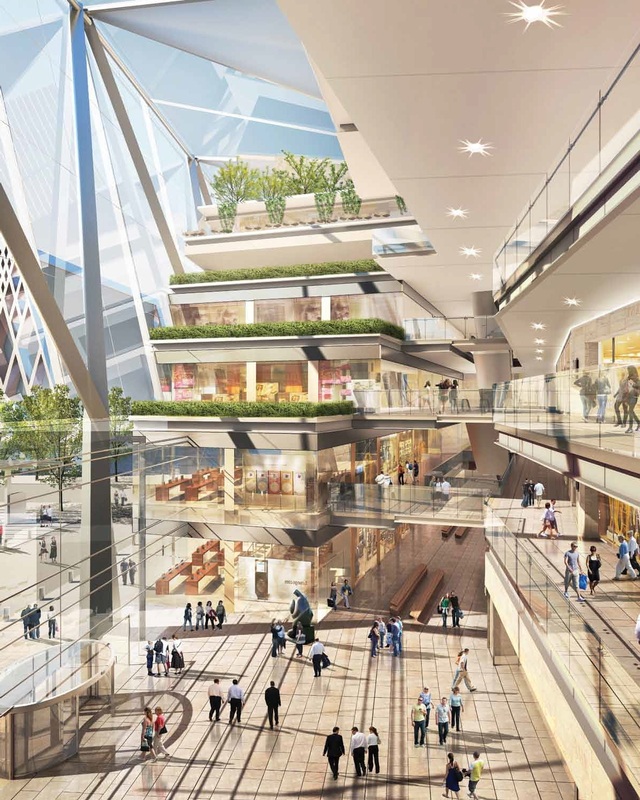 Covering five levels and encompassing over 750,000 square feet, the shops will also include entertainment venues and a variety of food offerings. A dynamic Food Hall will provide workers with exciting and varied choices for meals, while a market will bring the convenience of high-end food shopping and prepared meals. 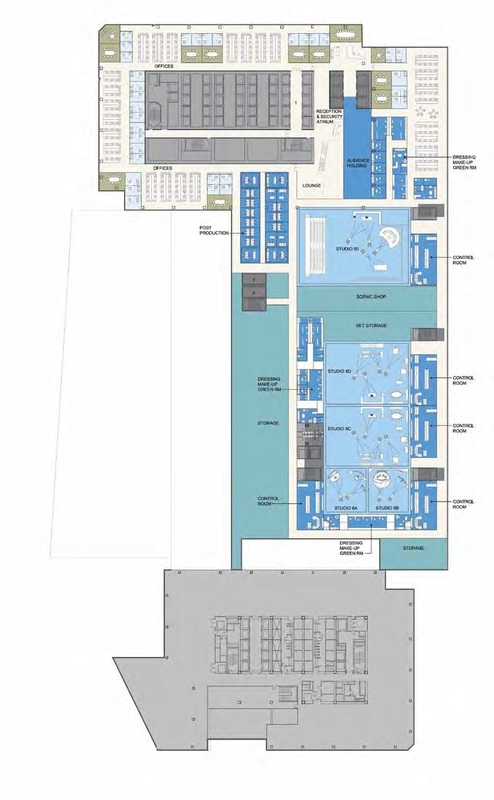 The Equinox Health Club (part of the Related family) will establish a premier spa and fitness facility as well. 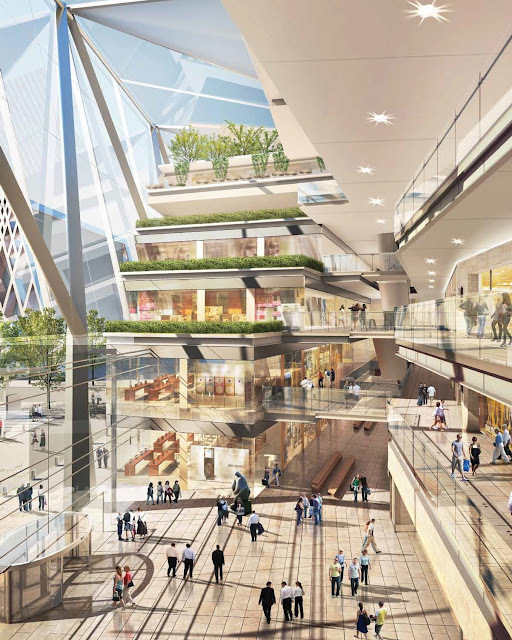 Office employees in the buildings above will have immediate access to all the retail offerings including one of the city's best fitness facilities, a foremost shopping experience where they can shop and browse, and premium restaurants and dining options." 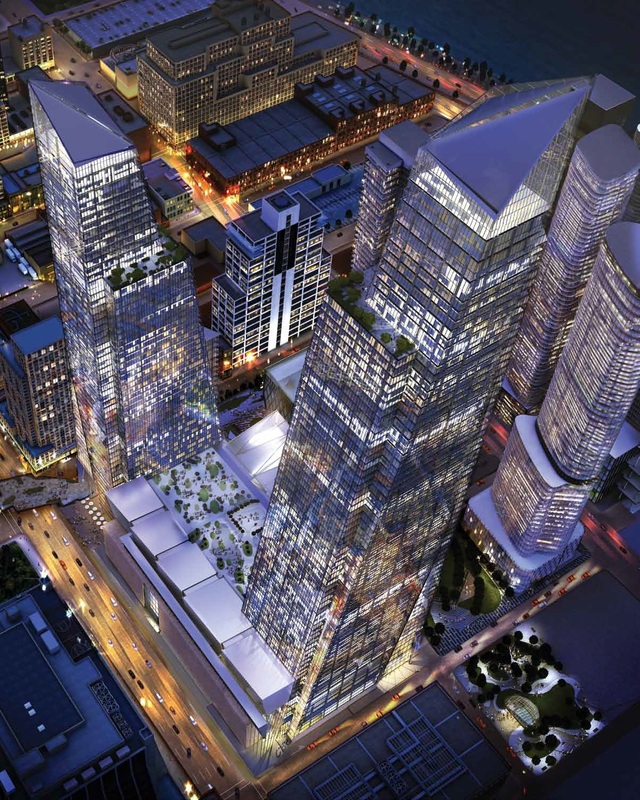 "A spectacular luxury hotel will add to the mixed-use character of the Yards. 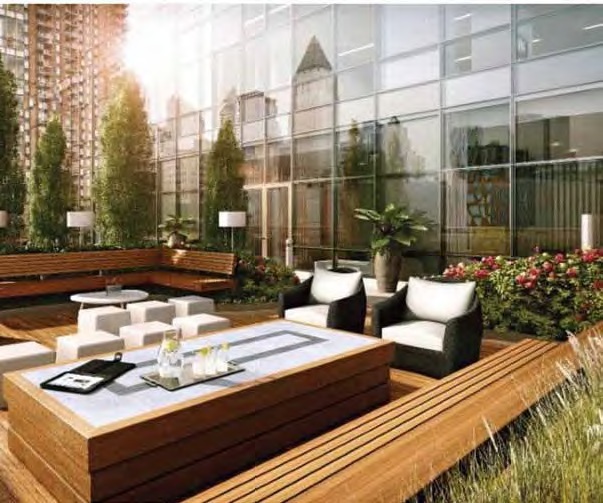 A sleek architectural design prominently located on the Plaza, this 300 room five-star hotel will also provide some of the most luxurious residences in New York City - with services provided by the hotel and the consummate amenity package. 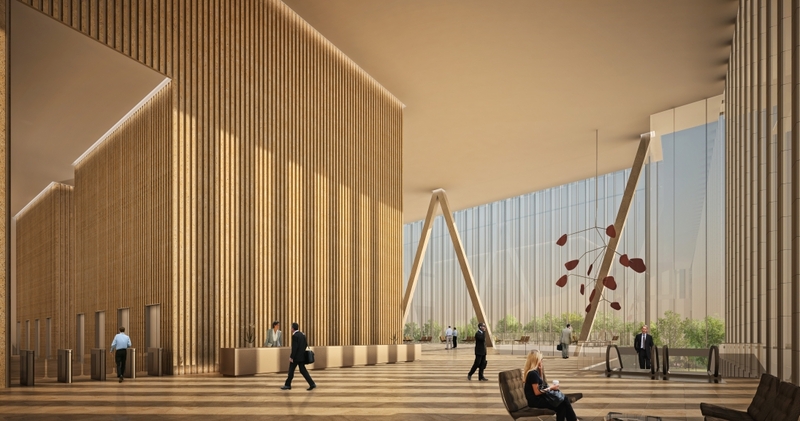 The hotel will provide smaller and more intimate dining, conferencing, and banqueting options for office tenants, along with an elegant high-end spa experience. 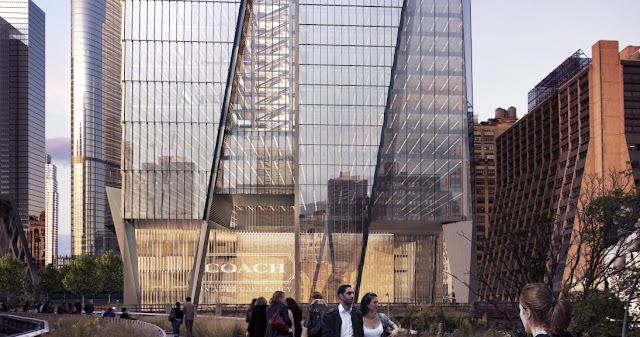 Corporate guests will be able to stay close to both headquarters and all the action, in a dramatic setting on the park that will be unparalleled elsewhere in Midtown Manhattan." 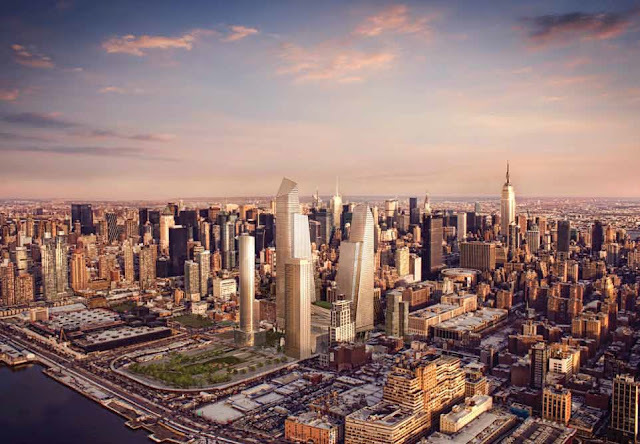 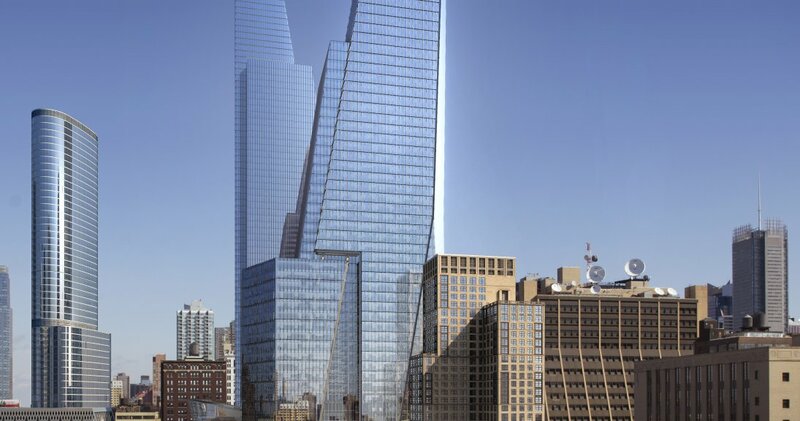 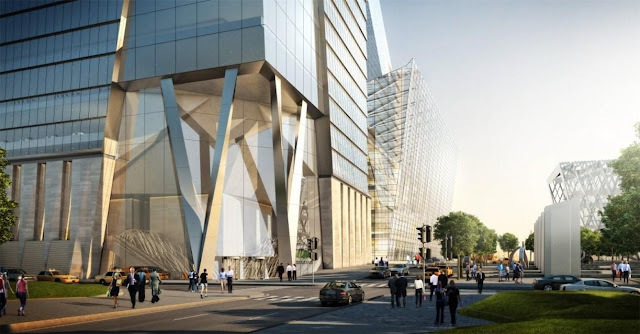 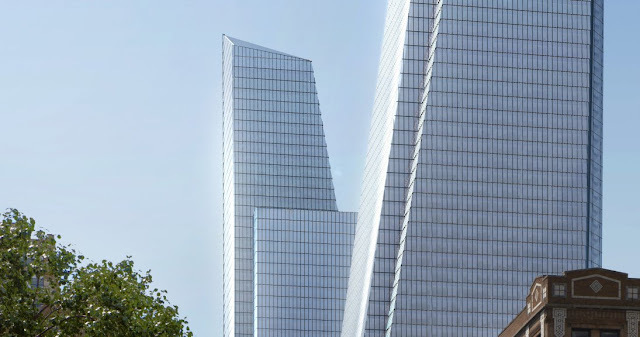 "Hudson Yards will provide six million square feet of the most modern and efficient commercial office space in the city in three headquarters buildings. With expansive floorplates and state-of-the-art technology, the commercial offering is unprecedented. 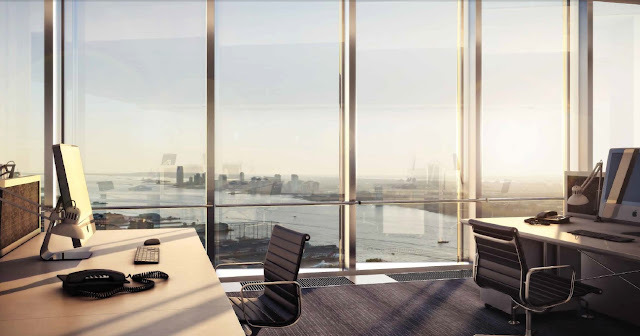 In addition to all of the amenities that will be provided due to the mixed-use environment planned for the site, Hudson Yards district also provides generous tax incentives to attract corporate tenants to the area. 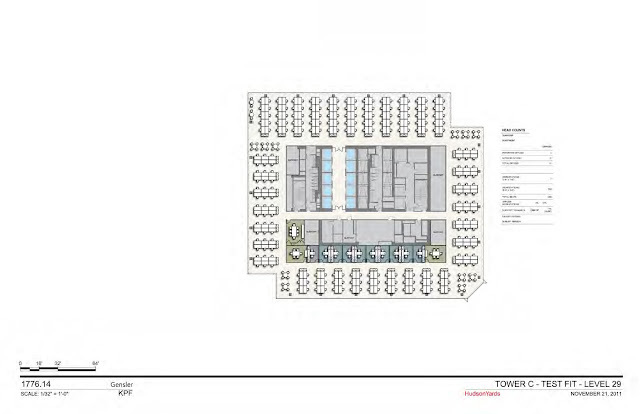 The large-scale size of the site permits the most efficient planning for office buildings. 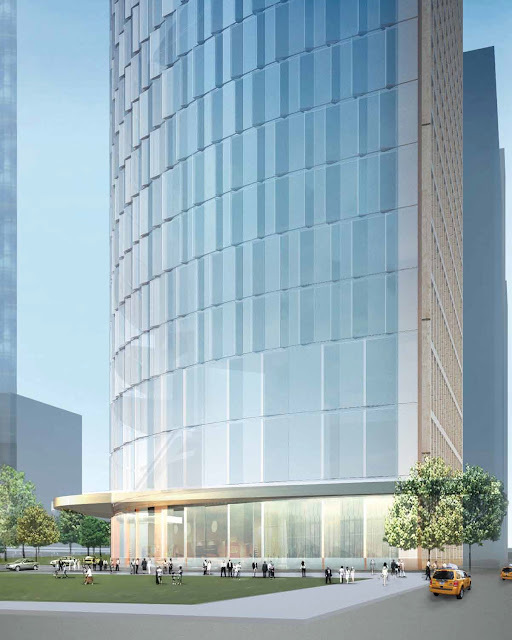 Sitting atop the five story retail base the commercial office towers will enjoy open views of the city and the benefit of onsite parks and plazas." "Complementing the commercial uses throughout Hudson Yards will be 5,000 residences. 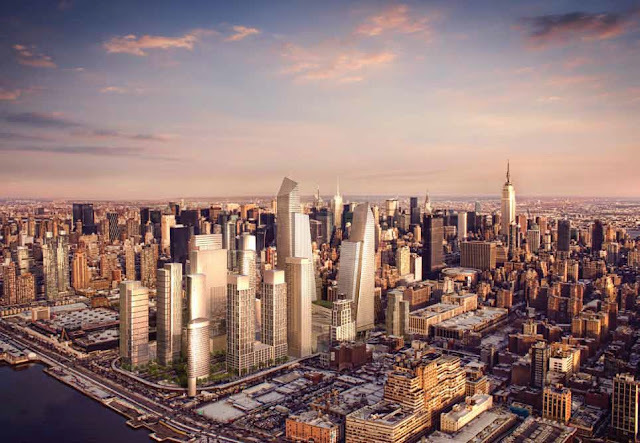 The diverse residential uses will ensure that life at the Yards will be an active experience around the clock, and evening hours will be just as busy and lively as midday. High quality rental housing on-site offers the opportunity for corporate apartments, and adds an additional benefit to help attract top talent. 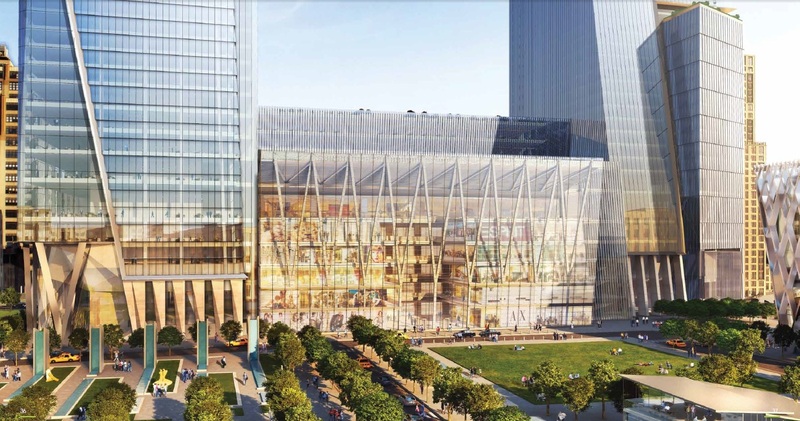 Hudson Yards will include important residential amenities such as a new school and extensive parks and playgrounds. 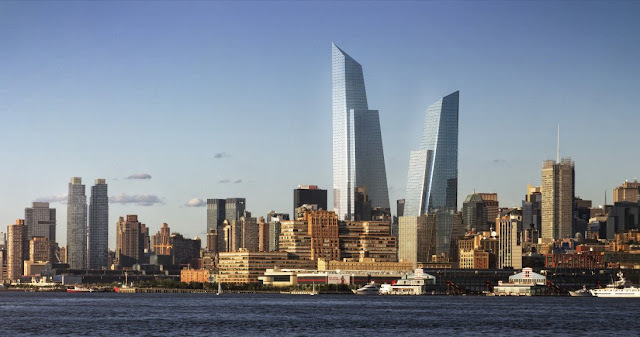 Designed by celebrated architects, with unparalleled amenities and waterfront and park views, these new urban residences will be among the most sought after in New York." 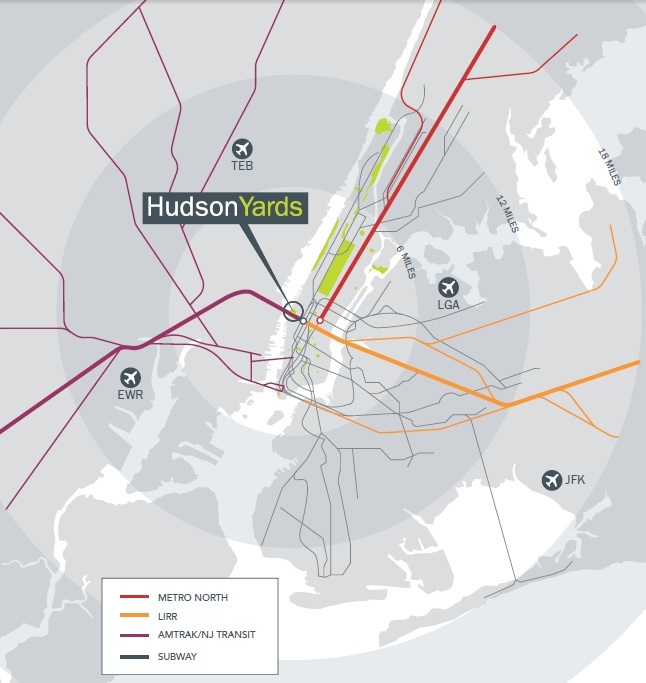 All info from Hudson Yards website.